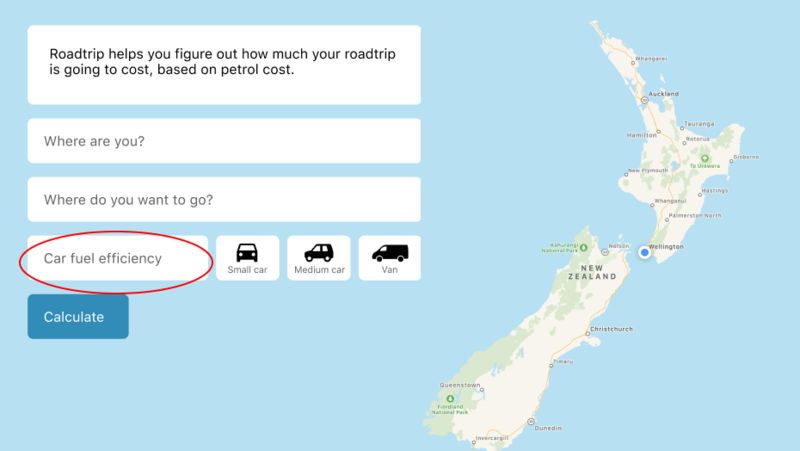 Magic fuel cost calculator for Kiwi roadtrips. For Summer of Tech’s Create Camp hackathon, myself and 4 others were given the challenge of using a New Zealand API to create a web app – in 16 hours. 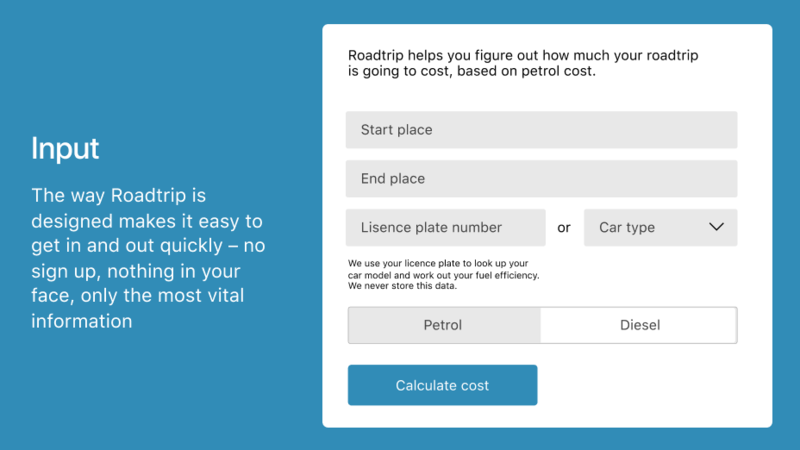 We came up with Roadtrip, an online calculator that can help you estimate the cost of fuel for your road trip – specific to your car model using smart licence plate lookup. 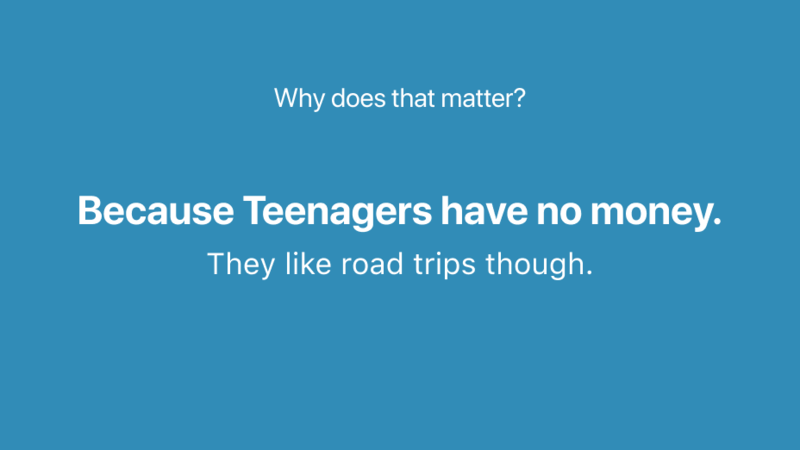 The problem is, it's genuinely hard to figure out how much your summer roadtrip might cost. You can easily figure out accomodation costs, and you can budget for food costs, but unless you know your car really well it's hard to budget for gas prices – which, as it turns out can be fairly expensive! 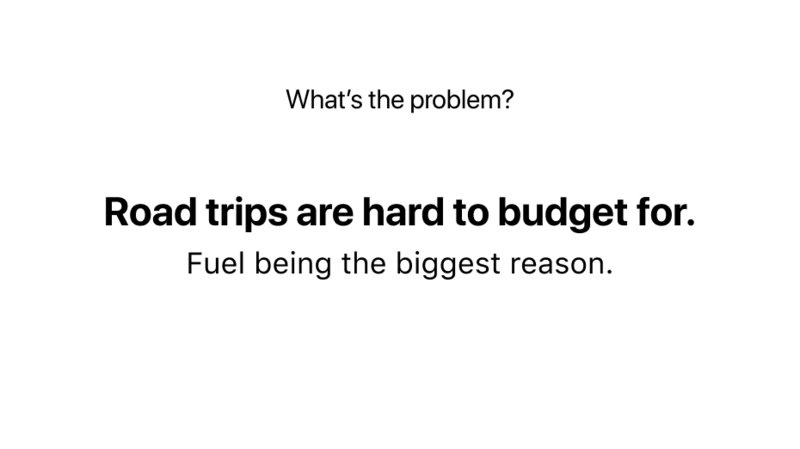 We built Roadtrip to make it easy to figure out how much your road trip is going to cost, based on fuel prices. You simply enter your starting location, your destination, your car’s license plate and fuel type, then Roadtrip calculates how much it is likely to cost you. Originally Roadtrip required users to enter their car’s fuel efficiency in KM/L. 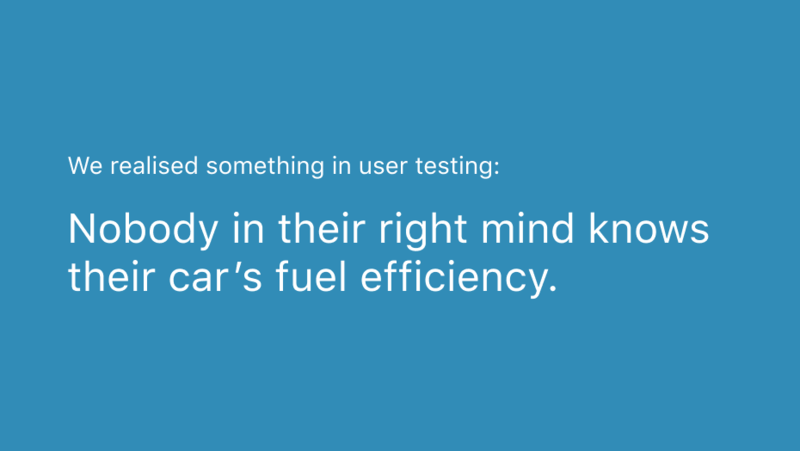 However, we realised something in user testing: Nobody in their right mind knows their cars fuel efficiency. Literally no one we talked to. So it was back to the drawing board, we had to come up with something that was easy for people to enter, but accurate enough that it wouldn’t show misinformation. We considered having an option between 3 different car types, but after some research discovered that car’s since 1995 have become 25-30% more fuel efficient, so using an average could end up being very inaccurate. So we thought, we need something that everyone knows about their car, that makes it unique. We considered using a database that had a variety of different car manufacturers, models, and years – but this result made the user experience a lot slower than we’d like from a simple calculator, and it meant it always had to be updated with new cars. Then we had a breakthrough: What if it was possible to find out a car’s fuel efficiency, based on it’s licence plate. Lucky for us, it was. 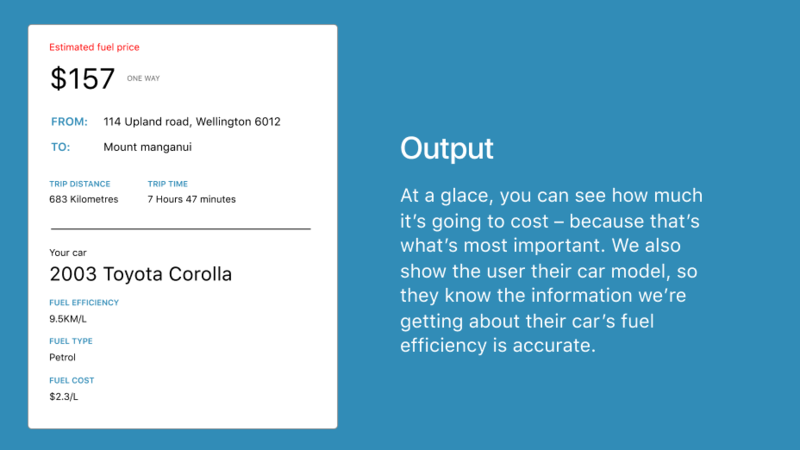 The team were able to create an API using an existing New Zealand licence plate fuel efficiency database, which meant we could call our own API and get the car's fuel efficiency. Magic.